I recently saw this question posed: “Which five films would you take with you to a desert island?” I’ve been contemplating what my answer to this question would be, and in formulating a list of the films that I love and that reveal more to me with each viewing, I reached a point where I could not decide which film of a particular actor I would bring with me. There was no question as to would I bring a piece of this actor’s work; it was the torture of deciding which one to bring. There are days when I just want to be charmed by Cary Grant or drown in the jewels that are Paul Newman’s eyes or listen to Spencer Tracy tell it like it is or melt into a puddle at the sight of Robert Redford, but there is one actor above all the rest who means the most to me. 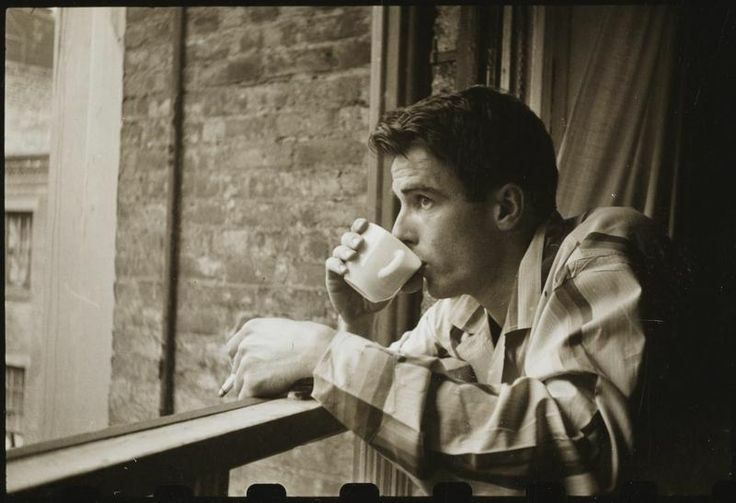 That actor is, of course, Montgomery Clift. But why? What would make a desert island so unbearable without one of his films to keep me company? In the simplest terms, the man was spell-binding. It is difficult to imagine him as an actor today, in an age where it is hardly uncommon to watch a movie without resorting at least once to checking your e-mail or Googling the weather or checking IMDB to identify from which episode of a sitcom you recognize an actor, because when Clift is on the screen, you–or at least I–cannot take your eyes off of him, and it is not simply because of his looks. 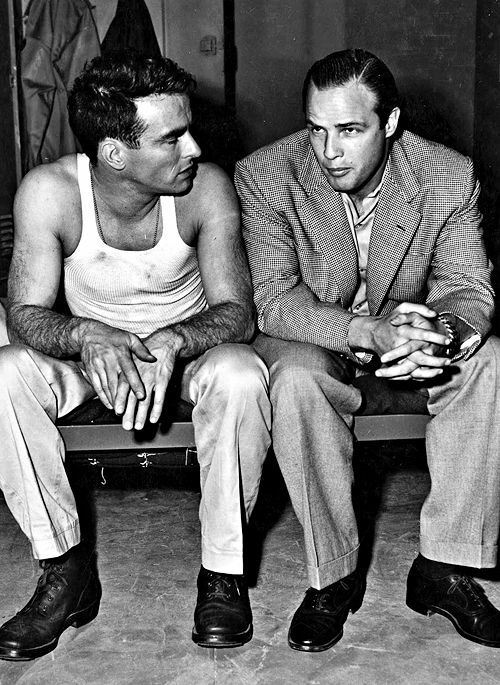 Clift had the ability to become so embedded in the script and character that you forget he is an actor; he is the character, and the transition he makes from actor to character is so seamless that you do not even realize it has taken place. You become so engrossed in his performance that you do not even realize that it is just that–a performance–until it is over. Then you are compelled to watch the performance again and take note of every nuance — how he underplays each scene in Red River and yet his presence still demands attention, how he bids goodbye to his wife in The Young Lions, only able to lift his hand to his waist in a final, small, pathetic wave, how he raises his hand to his lips to blow a kiss to Lee Remick in Wild River but falters, self-conscious. The dedication and effort he put into perfecting his craft is remarkable. In Raintree County, there is a flash scene (a scene which lasts no more than a second or two on the screen) in which Clift’s character opens the door to his wife’s bedroom and sees his son for the first time. He practiced opening and closing the door countless times–abruptly, tentatively, fearfully, joyfully, excitedly–all in his search for the one way which would convey the exact emotion in the exact way he wanted. He learned to play the bugle for From Here to Eternity not because his bugle-playing would be heard on-screen but because he believed it was necessary for his mouth and throat movements to be accurate. He memorized the entire Latin mass for his role as a priest in I Confess. He went to get a terrible haircut before filming his appearance in Judgment at Nuremberg because he believed it was the kind of thing his character would do. He nearly broke his back while learning to ride a bronco for The Misfits. On his final film, The Defector, he performed all his own stunts, repeatedly falling into the icy Elbe River and refusing to wear a waterproof suit beneath his clothes, despite his poor health. Clift believed that a character could be defined by his gestures, in the way he walked, and so he poured over his scripts, paring his lines to a minimum. “Good dialogue simply isn’t enough to explain all the infinite gradations of a character,” he declared. “It’s behavior–it’s what’s going on behind the lines.” This philosophy made him ideal for the deaf mute in The Heart Is a Lonely Hunter, a script he was sent toward the end of his life and was enthusiastic about but unfortunately never lived to fulfill. While filming The Search, he persistently battled with the screenwriters about the changes he felt should be made to the script. His input and revision of the script was such that he should have received a writing credit. Instead, the men with whom he battled so relentlessly won an Academy Award for their screenplay. Clift watching himself in The Heiress (1949). He was not pleased. Despite all the energy he put into his characters, despite his meticulous revision of his scripts, and despite his selectiveness about the roles he accepted, he was rarely, if ever, pleased with his performance on the screen. He didn’t like Red River or The Heiress or From Here to Eternity or, least of all, Raintree County, the film during which he had his near-fatal accident that changed his looks and life. He was too hard on himself. There are, however, people who agree with Clift’s assessments of his acting. They say he always looked so frail and sensitive on-screen that you could pinch him or utter an unkind word and he would collapse and burst into tears. True, Monty was a sensitive man and often portrayed equally sensitive characters on-screen, but there was often an inner resolute spirit present in the characters he portrayed–and, I would venture to say, in himself. Was Matthew Garth frail and sensitive as he withstood the brutality of John Wayne’s Thomas Dunson in the final scene of Red River? What strength must have Clift possessed to continue to work after his accident that changed his looks, some would say ruined (boo! ), in an industry so smitten with superficial beauty? These same critics might even make a claim that Clift had limited range, that he only ever played the same character, a version of himself, over and over. Similarities exist between the characters he played–the tenacity of Noah Ackerman and Robert E. Lee Prewitt, the mercenary nature of Morris Townsend and George Eastman, the near-naiveté of Danny MacCullough and Ralph Stevenson, but these similarities are slight. The characters are diverse and distinct from one another; Noah and Prewitt may have been similar in their resistance to succumbing to the cruelty of the Army and their swiftness in crumbling at the rejection of a girl, but the two characters are hardly identical. There is a nervous edge, an unsurety to everything Ackerman does–how he bounces on toes when he talks, how he lights his cigarette, how he takes hold of a girl’s face with both hands to kiss her. Prewitt, on the other hand, appears constant, immovable, unaffected; his moments of weakness and vulnerability flicker. 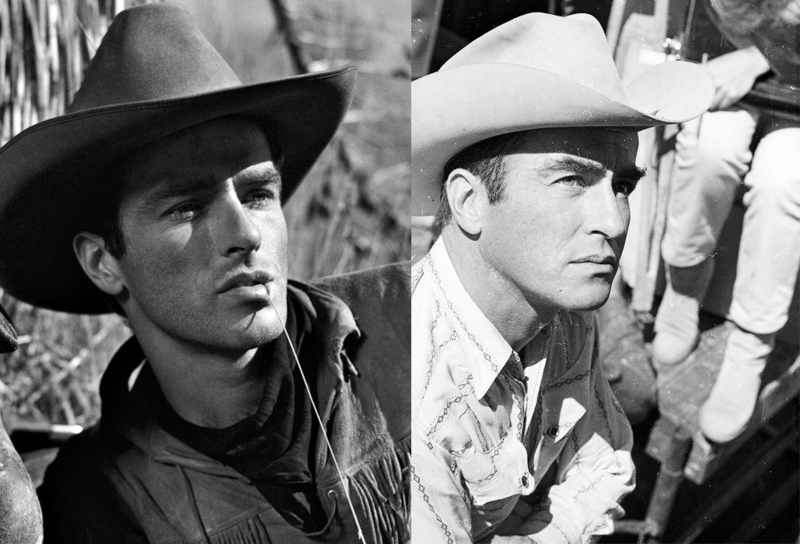 Been watchin’ cowboy films on gloomy afternoons, tinting the solitude: Clift before his accident as the defiant adopted son of John Wayne in Howard Hawks’s Red River (1948) and afterward as the punch drunk cowboy Perce Howland in John Huston’s The Misfits (1960). Or perhaps these critics would try to blame Clift’s looks for the attention his acting receives and similarly denounce the films made after his accident. It is not disputable that the man was devastatingly handsome. It’s just not. (And if you want to dispute it…well, I don’t know. Don’t talk to me. I can’t help you, but glasses might.) Don’t be fooled, however, into thinking that he was less handsome after his accident; the accident made his features less delicate, not less beautiful, and the man aged and didn’t properly take care of his body. Don’t be fooled into thinking that his looks negated or sidelined his acting; he refused to be typecast and always put value on the complexity and interest of the role and story, not the amount of fame or money it would attract. Don’t be fooled into thinking his acting prowess deteriorated after his accident; some of his finest acting is found on film after the accident, despite the pain he was enduring. And so where does this leave me? Back on that desert island, trying to decide which of his films I would most like to have with me. That’s how I feel, trying to decide which film to take to this entirely fictitious desert island. It’s hard. Would it be his endearing screen debut, The Search, as he attempts to help a young boy, a survivor of a concentration camp who only answers “I don’t know” to every question, find his mother and teach him English? 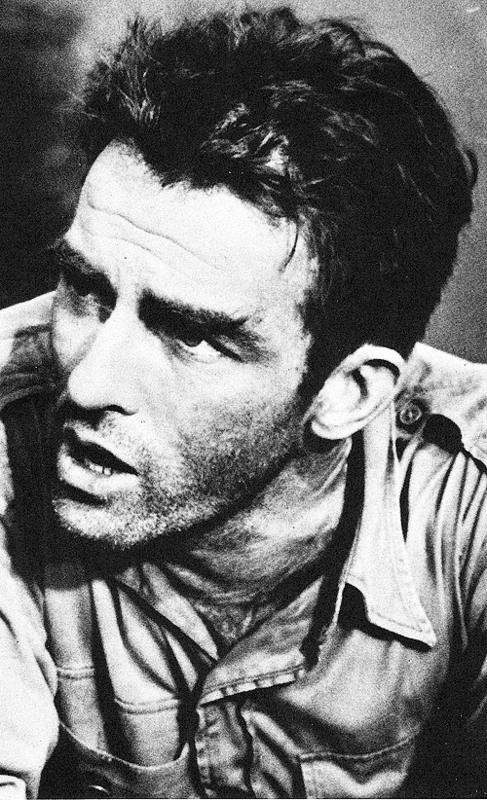 His arguably definitive portrayal of the stubborn and principled private Robert E. Lee Prewitt in From Here to Eternity? Or would I prefer his complex portrayal of a priest in I Confess, his speech restricted so that he says it all with his magnificent eyes? Would the power of his 17-minute performance in Judgment at Nuremberg as a man sterilized by the Nazis be enough to sustain me? Or what about The Heiress, the movie that introduced me to this wonderful actor, where his preternatural beauty is so distracting that I change my mind repeatedly about his character’s true intentions? (Currently: dude’s a cad but not as much of a cad as her father.) Would I want to be heartbroken by his portrayal of the sensitive Jew Noah Ackerman in The Young Lions, so similar to Prewitt in his endurance of “the treatment”? Or could I even bear to watch him, his thinning hair dyed and his taut skin stretched so thin he almost looks emaciated, perform all his own stunts, even though he was in poor health and probably dying, in his final screen performance, The Defector? Or would I want to enjoy the one film where he had the opportunity to display his comedic abilities (tripping on the train platform in Terminal Station and lambasting that dude about surf boarding in From Here to Eternity aside), The Big Lift, even if it is lacking as a film? That, too, is my answer. Which films would I most like to have on a desert island? 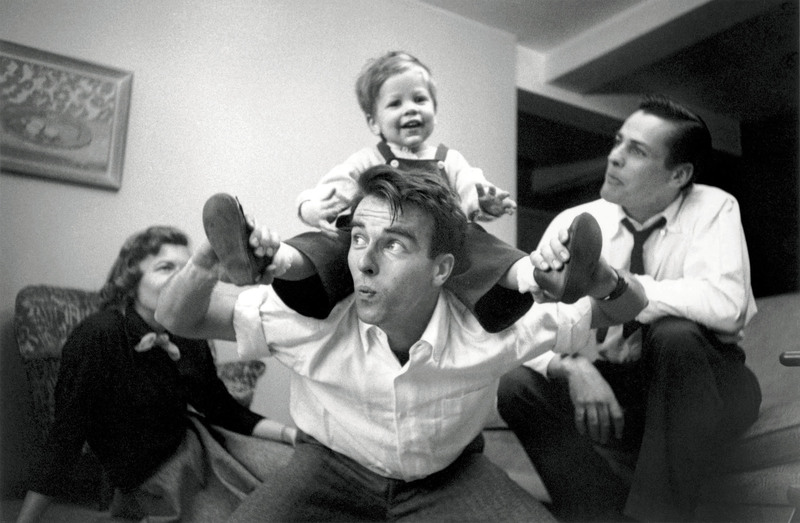 ANYTHING WITH MONTGOMERY CLIFT! I could watch any of them. Even when the script was weak (like Lonelyhearts or The Defector) or the film was wracked with problems behind the scenes (Raintree County and Freud), or his role was minimal (The Misfits, Judgment at Nuremberg, and Suddenly, Last Summer), his performance is noteworthy. He is compelling and fascinating, often more fascinating with each viewing, and I glean something new from his performance each time I watch. I am more aware of what he is doing as an actor, the extreme dedication and skill and understanding he is bringing to a character in order to bring him to life. Maybe it would be an exaggeration to say that he changed the way I watch movies. But the truth is: it’s not an exaggeration. I compare every actor to him; I watch and try to dissect what an actor is doing and what they are not saying because of him. 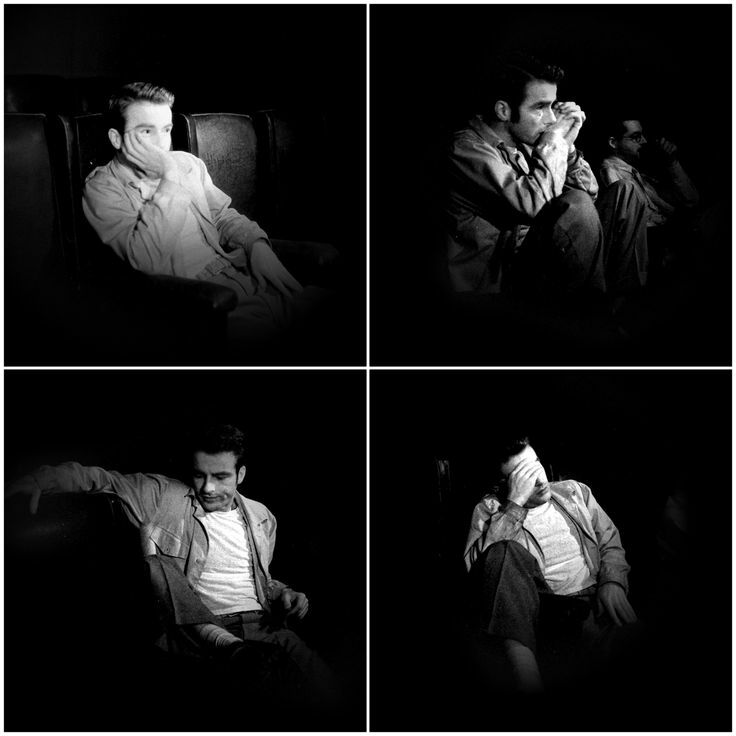 And no actor is as mesmerizing and satisfying to watch as Montgomery Clift. In his forty-five years and seventeen feature films, he created an indelible, if often unforgotten and underappreciated, impact on innumerable moviegoers, including me, born decades after his death. Today would have been his 94th birthday. Isn’t that amazing–amazing that someone can be gone from this earth for so long and yet still have such a lasting, powerful presence? I think so. Happy birthday, Monty. You were so special. If you don’t have time to watch all of Monty’s films today or are looking for a sampling of his work and have seven minutes or so to spare, check out this sublime tribute video from YouTube. It combines some of my favorite moments with beautiful photographs (as if any other type exist of Clift) and a gorgeous, fitting soundtrack (Out of Africa). I’m kind of obsessed with it. 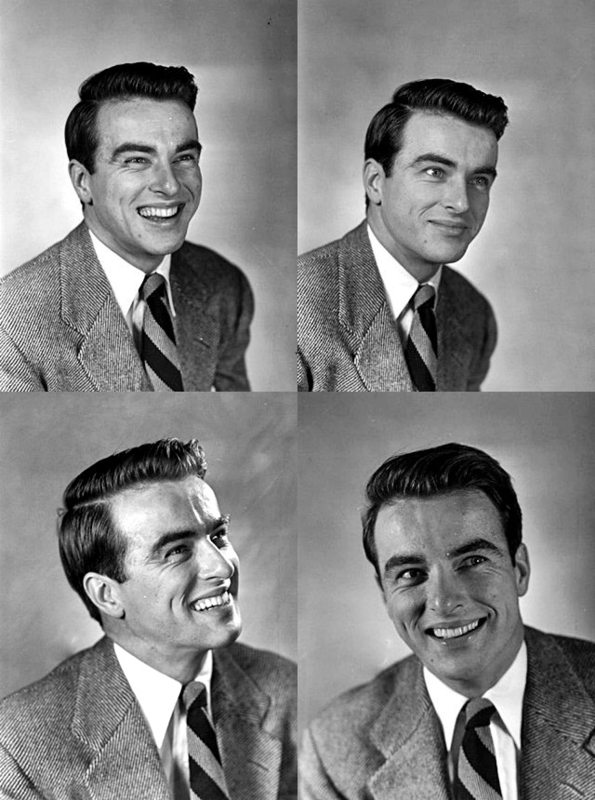 Also I’ll be loading my Monty board on Pinterest with all kinds of pretty, if you’re in the mood to slip into a Montgomery Clift-induced coma. 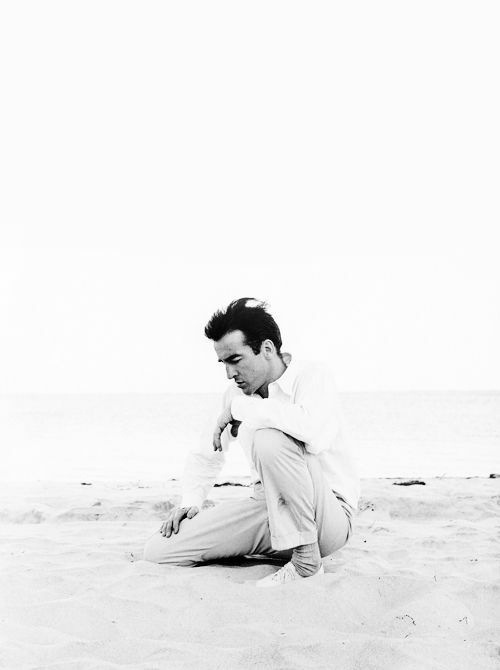 This entry was posted in Films and tagged montgomery clift by Brittany. Bookmark the permalink. Wait a minute. This blog is named after Count Petofi, isn’t it. I never would have stumbled in here otherwise. How about a top five DS male actors list to be locked into some remote room in Collinwood with you. Not as interesting for me as a list of top female DS actors, but I might learn something and I wouldn’t utter a peep of disagreement. Like why did Vickie seem to dismiss the first Burke as a goof but was all over the second one? Like why did the jilted Joe (Haskell?) gravitate to Maggie instead of the equally unattached Vickie and at same time stick it to Burke. How is it that Barnabas was apparently considered handsome by a number of people? This is a blog cursed with Dark Shadows and OTHER obsessions, although, admittedly, I haven’t written about DS in ages because of lack of time to watch it and interest in the subject. But, to kind of answer your question, Quentin is the only character I would want to be locked in any room with. Only attractive man on the show!!!! Since I’m not in a position to argue who were the attractive men on DS, I won’t, even though this may be in violation of the internet comment sections rules of etiquette. I will only say that you’re lack of interest in the show has me considering taking my own advice and joining a health club with a pool.